I’ve done many things in my life that absolutely terrified me. The thing that terrified me the most? Marrying this man. Committing to marriage rewrote my faith in love, in life. You see, I’ve been scared shitless of commitment my entire life. Since my childhood, all I’ve known is abandonment. How could I truly ever trust another to stick around when so many have left? But then I met Dennis. I took a major leap of faith, moving to a foreign country and into this man’s house after spending two weeks together. Then, four years later when we stood at the top of a mountain and he got down on one knee, another terrifying leap. The mere idea of trust was still shaky and unfamiliar. But I said yes. I said yes even though everything inside me screamed, “HE IS GOING TO LEAVE YOU AND THERE WILL BE PAIN!” I said yes even though deep down I knew he would eventually run, or die, or disappear. I said yes… And he hasn’t left. He is here, by my side. 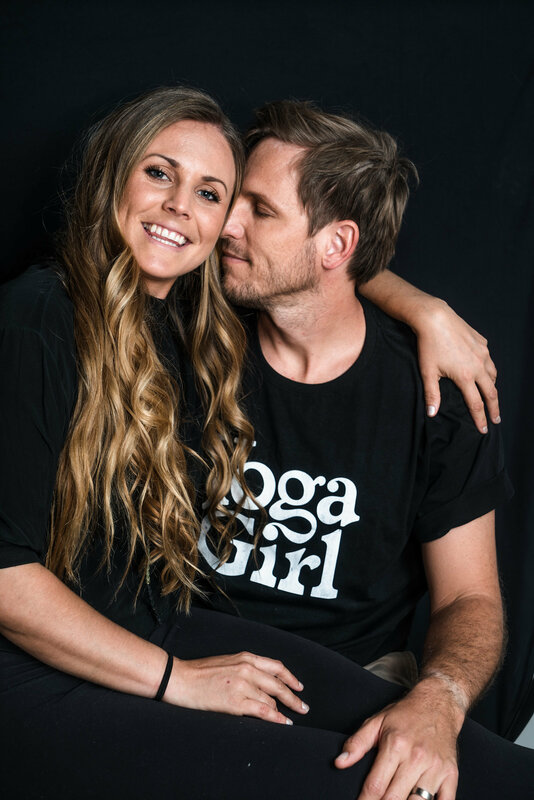 We started businesses, built a yoga studio, run several retreats and trainings every year, travel nonstop… Standing in the fire together these past few years could have burned us up. But it didn’t. I know now we were always meant to make it through. To create this perfect little being of light and raise her to know the love that never leaves, together. Truth is, I’ve never felt more love for my husband than I do now. I want to hold his hand all day long. Sit on his lap. Cry. Be silent together. Talk. And love. We spent a week together with no distractions. No phones, no Netflix, no sugar-soaked evenings, no drunkenness. Nothing in between. Just us. We’ve been together for eight years but this is new. Normally there is so much going on - work, stress, to-do lists, escapes, fears. When was the last time you looked into your beloved’s eyes – truly? When was the last time you were honest with each other – truly? I was under the impression before that passion dwindles with time. That it’s just the natural order of things. Well… It’s not. Most definitely not. Passion doesn’t get lost, people do! You can’t sustain a passionate relationship if you’ve lost passion for yourself. It starts within. Now I’m loving clearly. It’s coming from a place inside me that is pure. A place that loves me, too. It makes me want to giggle, this love! No truer words have been spoken. We are all keeping love at bay, arms outstretched in protection, instead of wrapping those arms around ourselves. Are you holding up a shield between yourself and life? Between yourself and yourself? Notice this within yourself: how are you shielding yourself from life? Love is possible only once you’ve decided you are too precious to carry the weight of your past. You are too important. Too beautiful. You are wiser from the past, absolutely, but you are not obligated to keep dragging it behind you. And once you’re free…. So is love. What is one thing you will do today to practice trust and inch yourself toward freedom? Share below!